Indian Echo Caverns is located in Hummelstown Pennsylvania and is a short car ride from Hershey and downtown Harrisburg. The caverns are open year-round and if you're planning a visit, head to their official web site and print off a money-saving coupon that you can use towards admission. 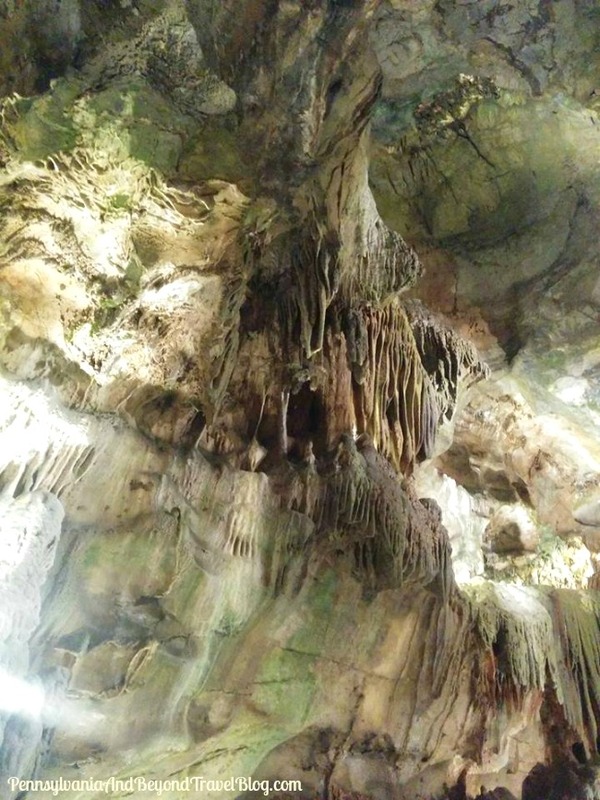 The caverns are technically a limestone cave and were formed because of the erosive properties of water. 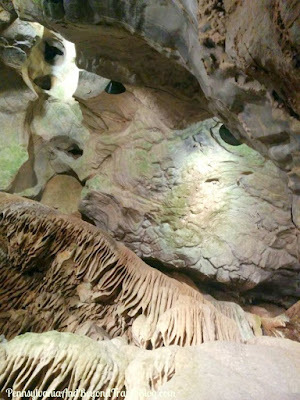 You can visit them any time of the year because the caverns remain a consistent 52 degrees F. inside. You may want to bring a light jacket or sweater when touring them, along with comfortable walking shoes. Once you arrive...you'll park your car and head into the gift shop to pay your admission fee. Each tour lasts for approximately 45 minutes in length. When your tour is ready to begin...your guide will assemble your tour group and you'll walk down a path and down many steps to the cave entrance. From there, your guide will give you an introduction and you'll head inside for your guided tour. Please note: You can NOT take backpacks or bags with you on the tour. You can take cameras with or without flash and video cameras along with you. In addition, you can not take food or water on the tour. If you're taking little ones with you on the tour, you'll need to leave diaper bags, baby gear and strollers in your car. I have to admit, I've visited Indian Echo Caverns several times as a child and as an adult and every time I visit...I'm more impressed with it's beauty and history. I love learning about how it formed over a million years ago and about the animals & organisms that call it home or use it for shelter. It's interesting and definitely beautiful to see. Once your done with your tour...you can do a little souvenir shopping at the gift shop or have a little fun at Gem Mill Junction where kids can try their hand at finding gemstones. This is a seasonal attraction, so check their web site for the operating schedule. In addition, this costs an additional, but reasonable fee. There are two picnic areas (bring a packed lunch), a playground for the kids and a very small "petting zoo" where the kids can visit with the goats. They can pet the goats and for 50 cents they can feed the goats some farm corn. These areas are only open during late Spring, Summer and early Fall. 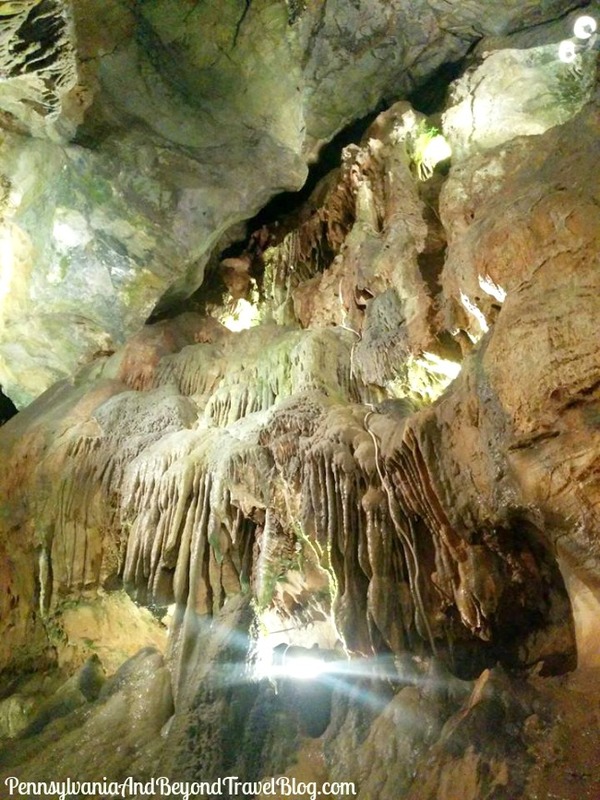 We love visiting Indian Echo Caverns and it's a very popular tourist attraction here in south central Pennsylvania. If you are going to be visiting Hershey, Lancaster, Gettysburg or Harrisburg it's definitely a must-see and do attraction. Note: Click on each image in this travel feature. It will open up in a new window and in an enlarged size so that you can view all of the details up close. Enjoy! 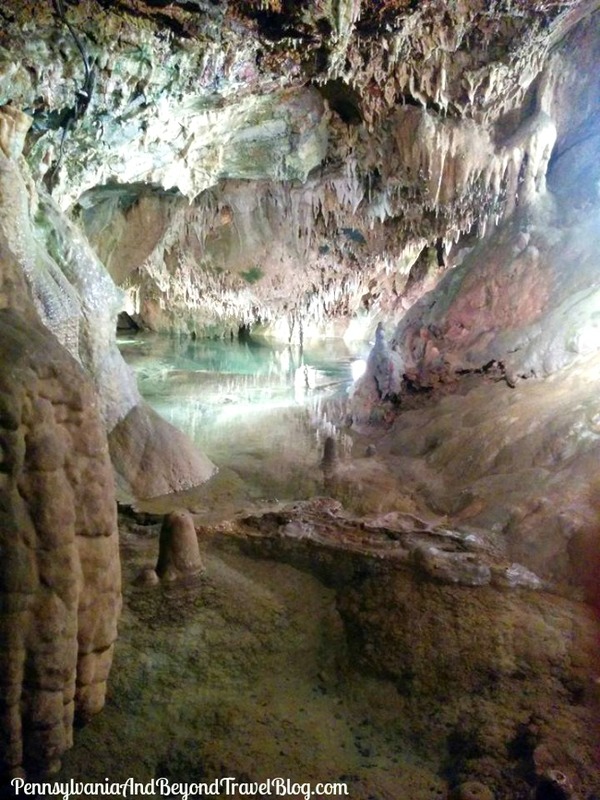 The Indian Echo Caverns are definitely another spot I would love to visit. If I ever get to Hershey I would stay a while and travel to many of the other sites you have reviewed. I love the idea of seeing these caverns that have formed over the centuries.